Like any other business, dentists need to attract new “customers” to help them grow and prosper. Dental marketing can be very competitive so not only do dentists need to get their message in front of new prospects, acquiring positive patient testimonials have become a necessity for most dental offices. Most people today are Googling to find anything these days and that is certainly true for a new dental practice? In addition, the search engine that is suggesting several pediatric dental offices near me, Google presents several review websites for users to peruse. Many of these review websites sort practices according to the quantity and quality of patient testimonials. Therefore, a well-reviewed dental practice is more likely to rank higher compared with other dental offices that have generated relatively less reviews. Good reviews also inspire consumers to act. According to a report from Forbes, online reviews are perceived by 88 percent of consumers as trustworthy. Akin to a personal recommendation, a review builds your credibility and puts confidence in your prospect clients. Typically after reading reviews for a business online, a consumer often checks out the website first before actually making an appointment. Therefore, having a clean and user friendly website is very important for the dental practice. Reviews can be found on sites like Google, Facebook and Yelp in addition to many others. If you want to feature good reviews on your own website, we recommend you pull in the content from these external review websites in addition to whatever you choose to add to your website directly. Consumers love watching video and devour hours of video content per day from YouTube, Snapchat, Facebook and a few others social media platforms. So, don’t ignore video testimonials for dental practices as an option for your marketing efforts. Use the power of social media to let the testimonials about you reach more people. Developing useful content for social media can keep your brand in front of potential patients at a time when they are not ready to make that decision and video testimonials can be a great piece of content to mingle among useful suggestions, local event information and relevant topics. 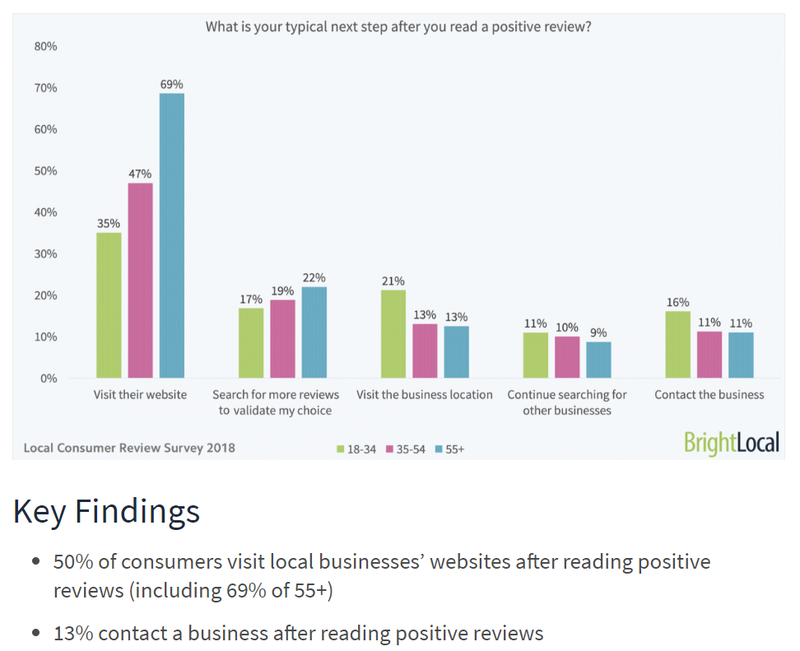 When dealing with negative reviews, local dentists should make every effort to engage the dissatisfied patient offline, understand the challenge and then do their best to rectify the problem, all off line. Then once the issue is resolved, reply to the patient’s online review sharing with others how the issue was resolved. Certainly you would want to encourage that patient that was upset update their initial review with a more positive message. In todays world, patients who write reviews have some serious influence over how future patients decide on who will be their next dentist should be. Treat these influencers with respect. Most of the pediatric dentist testimonials that we have helped garner for this dentist for kids in Newtown PA have been 5 star reviews. We have also recorded a number of video testimonials for this kids dentist in addition to our regular videos on dental topics. Don’t ignore the role your current patients in developing an stream of positive reviews for your dental practice.